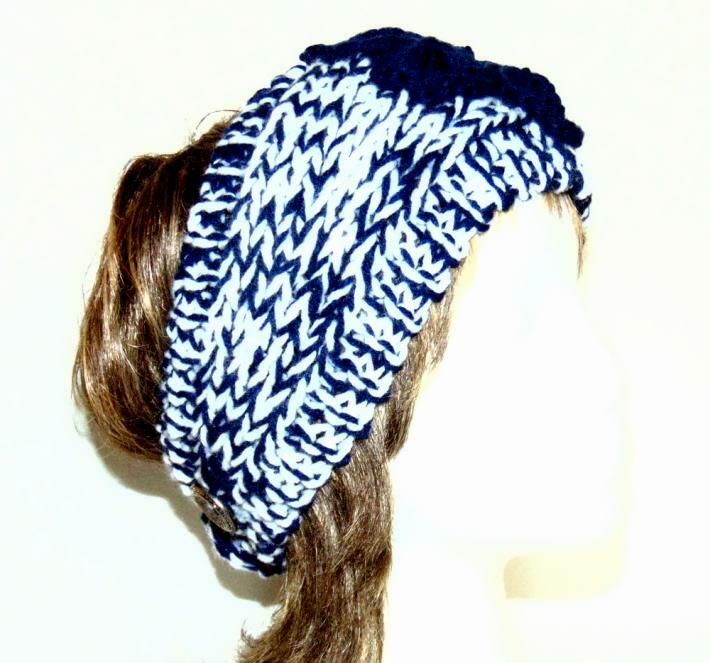 If you are looking for a way to keep your ears warm stylishly, here it is! 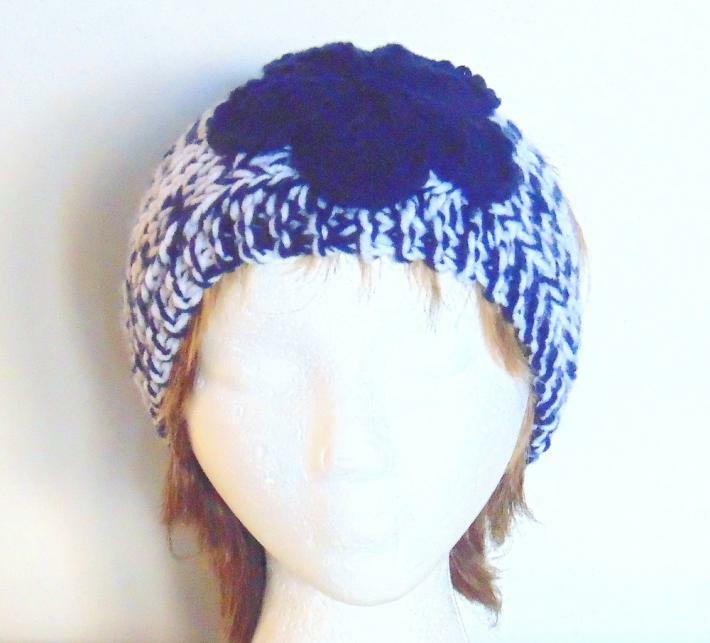 The navy blue tweed headband makes a lovely background for the navy blue knit flower! 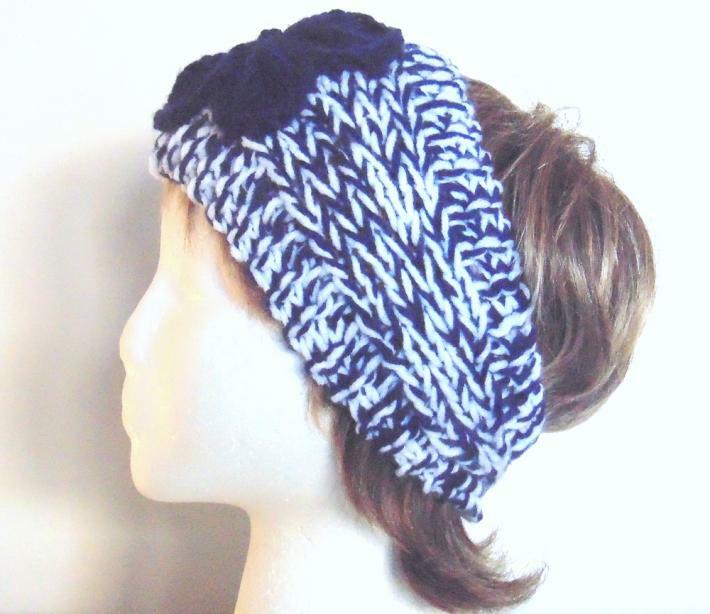 This hand knit headband is tapered and adjustable - tapered so that it will not bunch up at the nape of your neck, and adjustable for a perfect fit. Simply choose one of the two silvery buttons that works best for you! 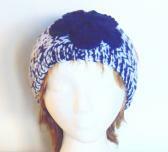 This hand knit headband is super easy care - just toss it in the washer and dryer on cool or warm settings. The acrylic yarn used gives it a luxurious feel and great shape retention for years of wear. 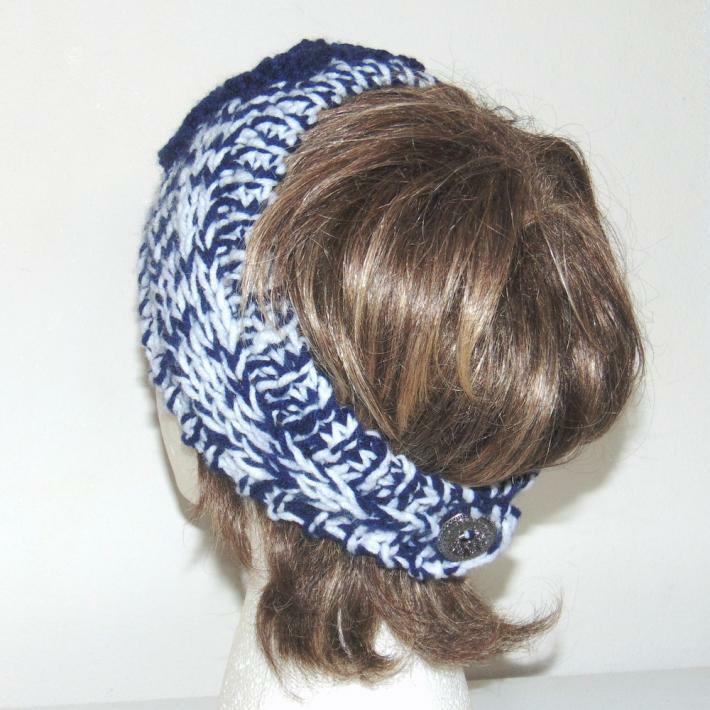 This headband is 20.5 inches long end-to-end and 5.5 inches at the widest point. This is the fashion accessory you will wonder how you lived without!